Mahabaleshwar is noted for its strawberry farms, adventure sports and beautiful scenic spots. During the day, you can keep busy by exploring the scenic area in superb weather. As the evening approaches, head out to experience the nightlife that Mahabaleshwar offers. This isn’t a party heavy place but there are spots where you can enjoy yourself after sunset. We tell you about the best places to enjoy the nightlife in Mahabaleshwar. Read on to know where they are, what time they close and more. 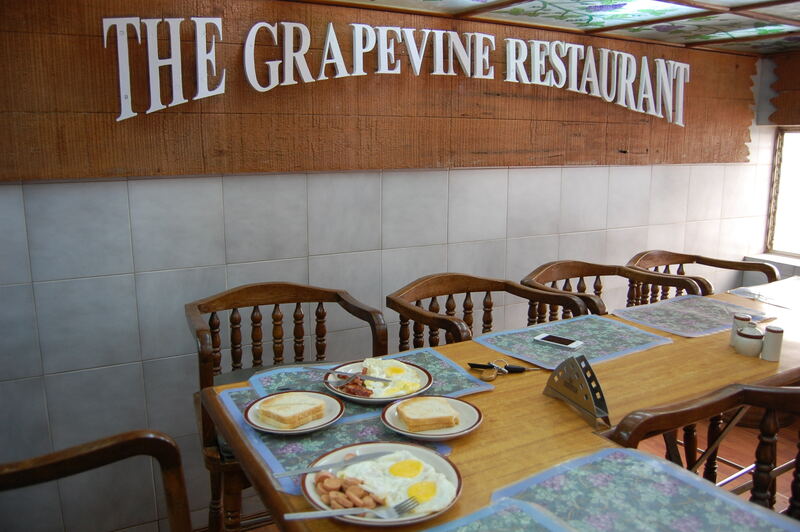 The Grapevine is a famous restaurant in Mahabaleshwar that is well known for its non-vegetarian food. A must try at Grapevine is the Parsi cuisine, it is simply delicious. Its prime location in the market square makes this place a popular hangout spot for tourists. This restaurant has a fine selection of beer and whiskey too. A popular drink from the menu is the strawberry wine. The bar at Meghdoot Restaurant serves numerous alcoholic and non- alcoholic beverages. 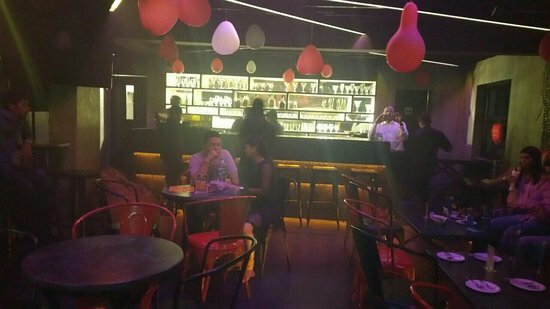 The trendy bar is popular with tourists, and you will find Meghdoot always crowded during the peak tourist season. Winners on the food menu are the fish curries, the pizzas and the tandoori items. They have a few good vegetarian options too. A fine Italian restaurant, Little Italy is a great place for a date night. The dim lights and charming interiors set the perfect ambience for a romantic dinner. The pasta, coolers and cakes served here are the best that you can find in Mahabaleshwar, they also do a good range of pizzas. All the food served here is vegetarian and there is no alcohol served at the restaurant, but it’s still a good place to go to if you love dining out. 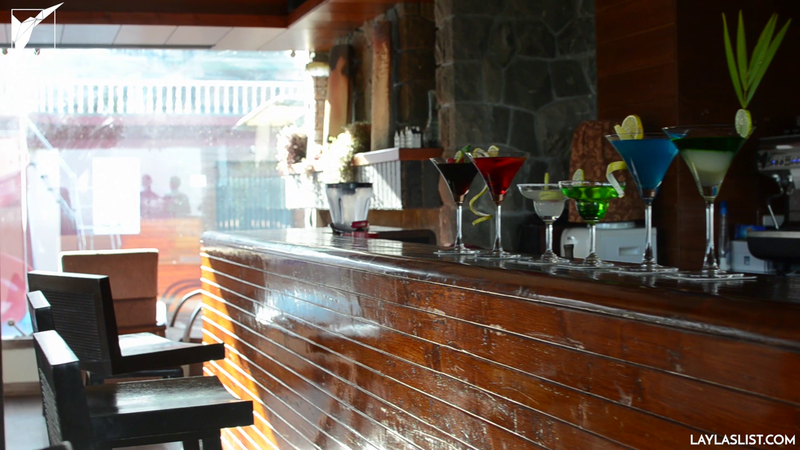 UNLOCK – the Resto-bar is a cool, chilled-out lounge that’s a great place to unwind after sightseeing in Mahabaleshwar. You can chill by the lounge area or sit by the bar and have conversations with the bartender on cocktails or get some cool tips on exploring Mahabaleshwar. Speaking of cocktails, they have a good selection, they’ve also got beers, whiskey and a few varieties of vodkas on their drinks menu. Food is not that great, but if you are hungry, order the snacks on the menu. Plunge yourself in the cosy sitting area of this posh bar at the Le Meridien and sip on chilled beer and delicious cocktails. A haven for those who loved to spend relaxed, laid back evenings, Plunge has a great ambience. Binge on non-vegetarian and vegetarian snacks as you chill out at this lovely and cosy bar. If you are going during the day, it is best to chill on the open-air terrace. Chill out here if you love fancy bars and take your drinks seriously. At the Longitude 73 bar you are treated to the finest selection of alcohol. If you are up for trying new drinks, hop over to the bar and order a signature cocktail, it costs more than the regular ones, but it is worth the price you pay. Our favourites are the Cucumber Martini and the spicy Cardamom Sensation. Immensely popular, we recommend making reservations before going. The Tarang Bar is a great place for drinks and Indian food. With quick, excellent service and clean interiors, this place is popular with Indian tourists. From the bar section, you can catch magnificent views of the well-lit garden. Our top picks here are the butter chicken and the paneer tikka. Dine under the glittering Mahabaleshwar stars as you sip on wine and cocktails at Angaare. Offering a wonderful ambience, this restaurant and bar is a great spot for a cosy date or a peaceful family dinner. We love their galouti kebabs and paneer shashlik. Aptly named Over the Edge, this bar overlooks the valley and offers splendid views of the hills. 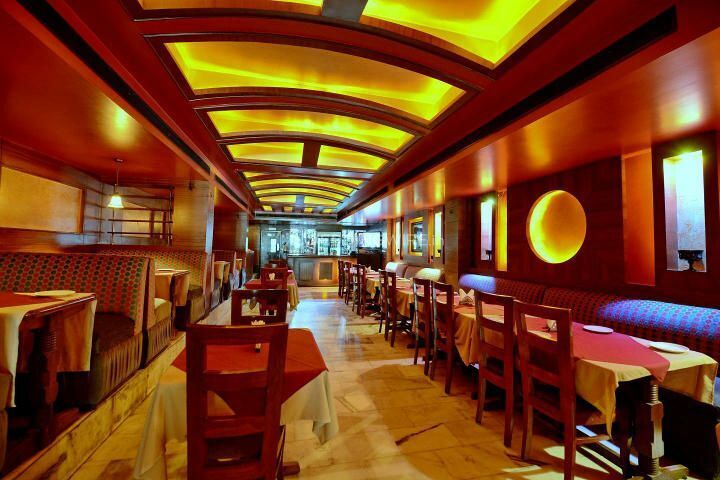 Sit at the bar or choose to relax amidst the plush interiors and dim lights. From the bar menu, Over the Edge Bar specialises in great cocktails, which are delicious. For food, you can pick from their pub or fast food menu. Mahabaleshwar is famous for its milkshakes and one of the best places to grab one is Baba’s Café. Located near the market, this milkshake and coffee centre is open until late at night. During the strawberry season, one has to try their variety of strawberry beverages and milkshakes. They are popular for their chocolate milkshake too, which is one of the best selling milkshakes during the non-peak season. The place has free WiFi, so this cafe is a great place to check your emails or post pictures of your trip on Instagram. The main market in Mahabaleshwar is the place for shopping. Buzzing with shops and shoppers, this is where you will find most of the retail stores in Mahabaleshwar. A great time to explore the market is in the evening, where there is a crowd. This is because you can truly experience the real shopping experience here. One of the coolest things to do in the evening in Mahabaleshwar is boating. You can enjoy the cool breeze of the lake and spend a quiet evening with your friends or that special someone. Post boat rides, you can savour local delicacies at the restaurants and street food stalls nearby. If you are on a romantic holiday or on a honeymoon in Mahabaleshwar, one of the most romantic things to do is watch the sunset from one of the many points in the hill station. Popular ones are Wilson Point, Arthur’s Seat, Lodwick Point and Kate’s Point. Although Mahabaleshwar does not offer the same nightlife experience of Pune or Mumbai, the hill station has quite a few places to hang out and have a good time. There are bars, cafes and good places to eat at. There are also coffee shops, in case you are looking for a late night cuppa. Which are your favourite places to visit in Mahabaleshwar after dark? Do let us know in the comments section.